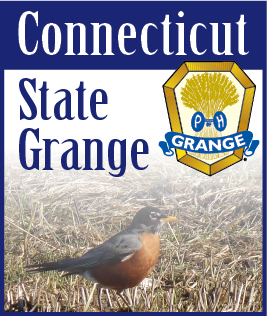 Last year we introduced a new program from our State Grange. The National Grange has a recognition award for firefighters, law-enforcement officers and teachers of the year award. Last year we did not receive any applications. We would like to try it again this year if your Grange would like to submit an application for this award; you can get the application on the National Grange website or you can let me know. I will make sure you receive one. All applications should be submitted to George and Sharon Russell by September 1, 2018 so they can be honored at our State Session in October. These two programs could help your Grange with money to finish a new project or to recognize a member and your Grange for their outstanding community service. Please discuss these applications at your Grange meeting in the near future and the members may have qualified recipients.